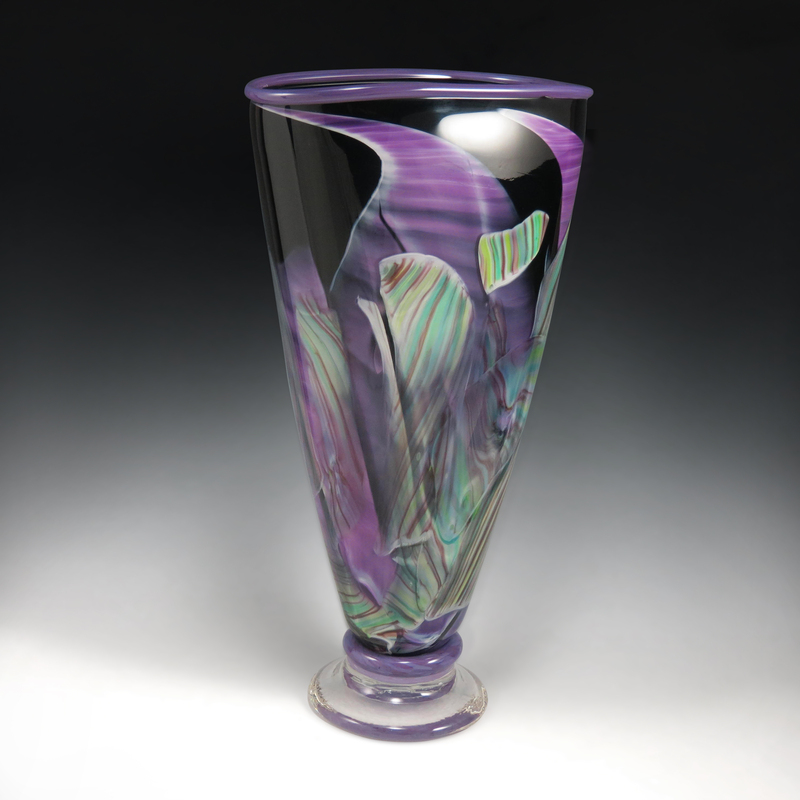 I use the title Transformation because each piece employs colorful shards of glass that are specifically blown for each piece. 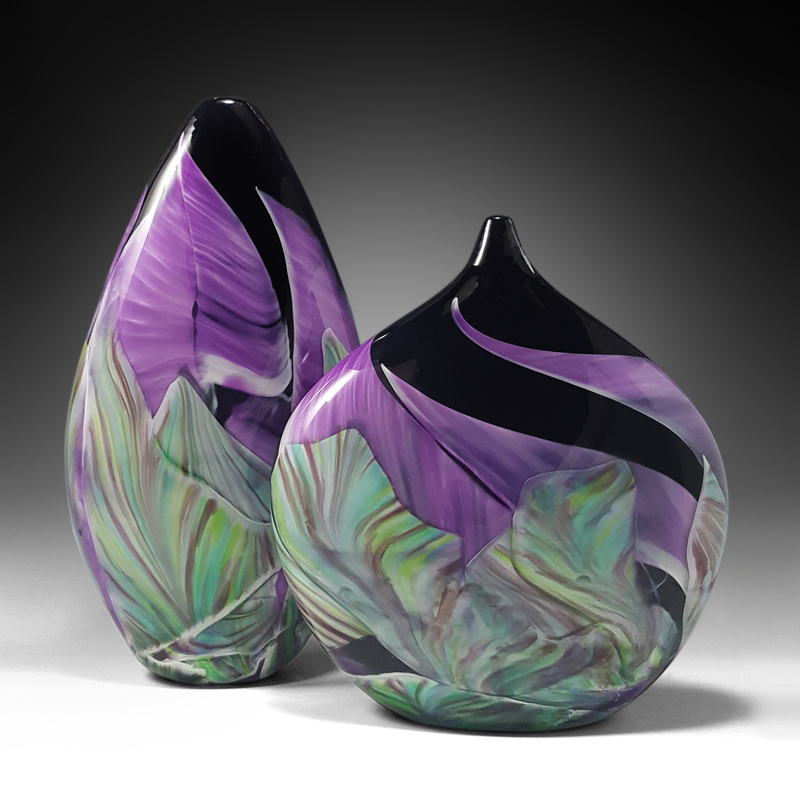 The piece actually starts as two different colored vessels that are blown and cooled. They are then broken up into shards. 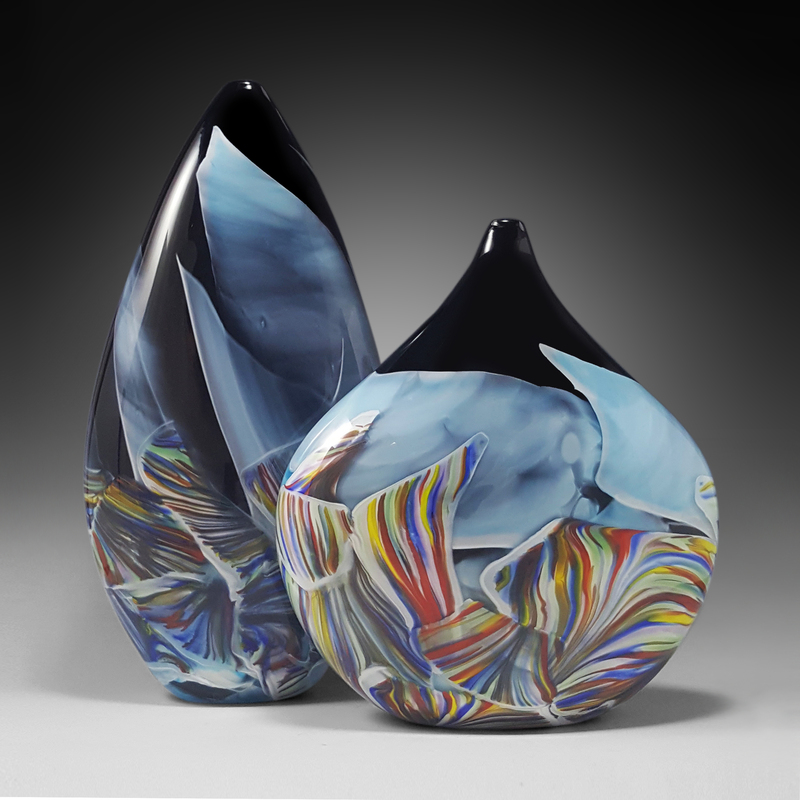 The shards become transformed as they are heated in a kiln and then picked up from the oven and melted onto the piece. 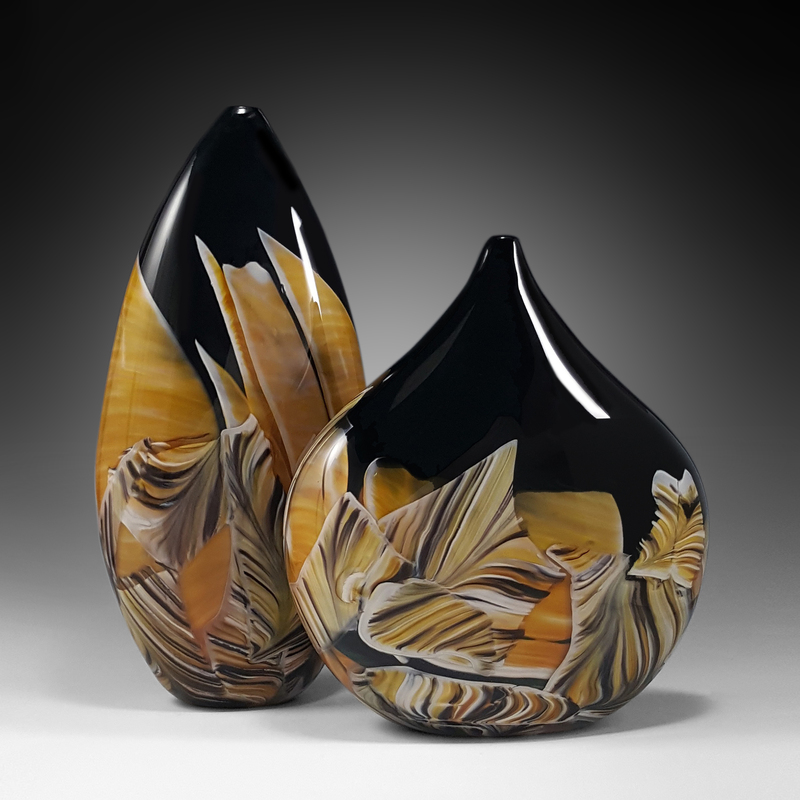 They are worked into the piece as inclusions between layers of molten glass. 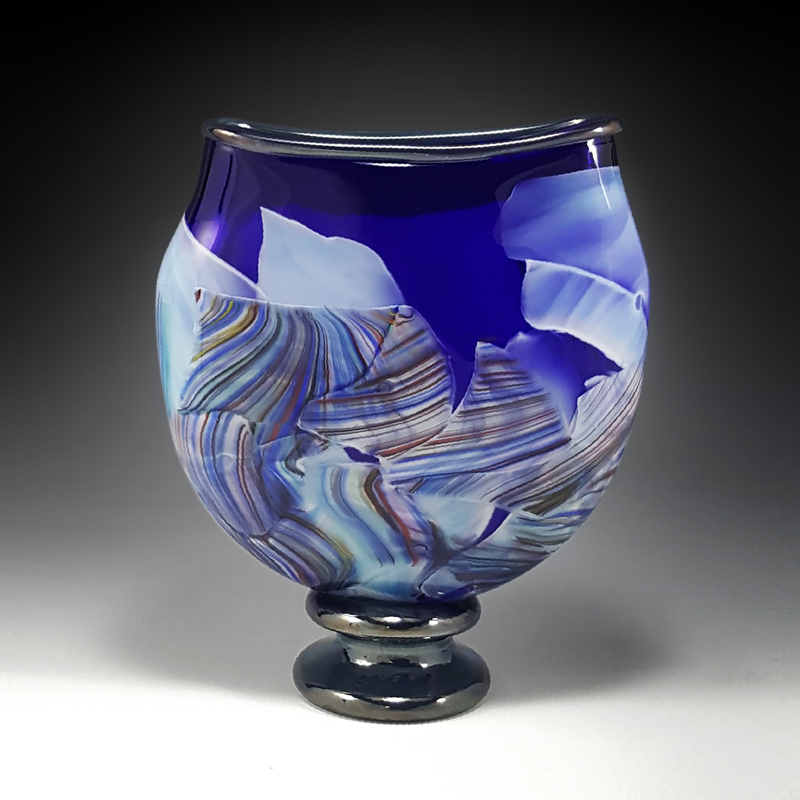 Once the entire transformation takes place and the shards are within the glass, the piece is blown out to the desired shape. The final piece is a playful combination of randomness and intent with the results evoking different interpretations from each viewer. Cool Mix-Black, Cool Mix-Purple, Hot Mix-Black, Hot Mix-Red, Rainbow-Black, Rainbow-Blue, Black & Gold-Black, Black & Gold-Amber.